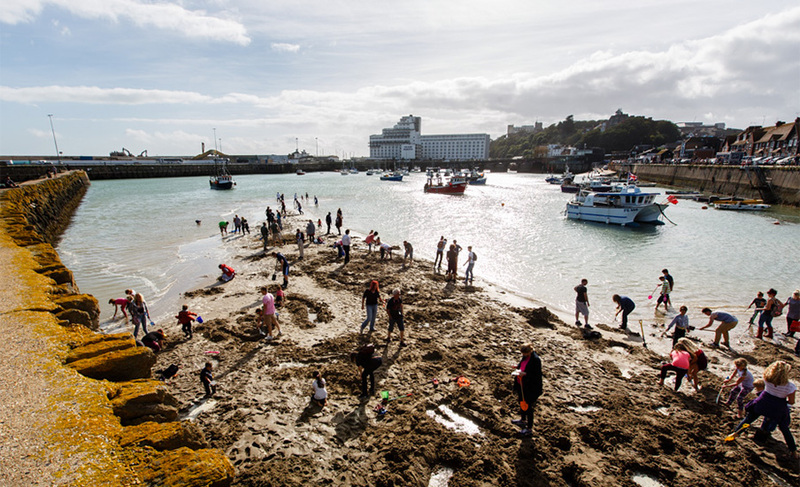 Folkestone Digs, by Berlin-based Michael Sailstorfer, was developed in secrecy in the lead up to the opening day of Folkestone Triennial 2014, when the announcement was made that 30 individual pieces of 24-carat gold had been buried under the sand of the Outer Harbour beach. The pieces of gold were dispersed across a wide expanse of the beach, which is mostly covered by water at high tide, is the revealed and accessible to the public daily as the tide allows. 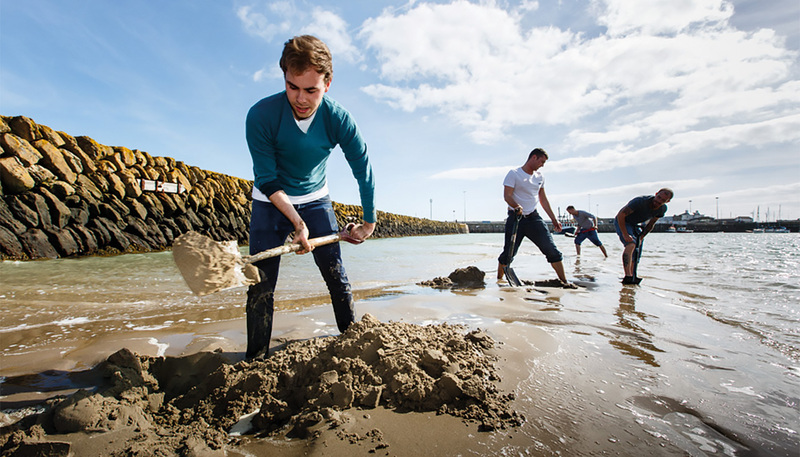 Sailstorfer’s ‘sculpture’ is a form of land art, made and re-made daily by people digging on the beach (any onlooker may not know whether a digger is looking for gold, or just digging for the sake of it). 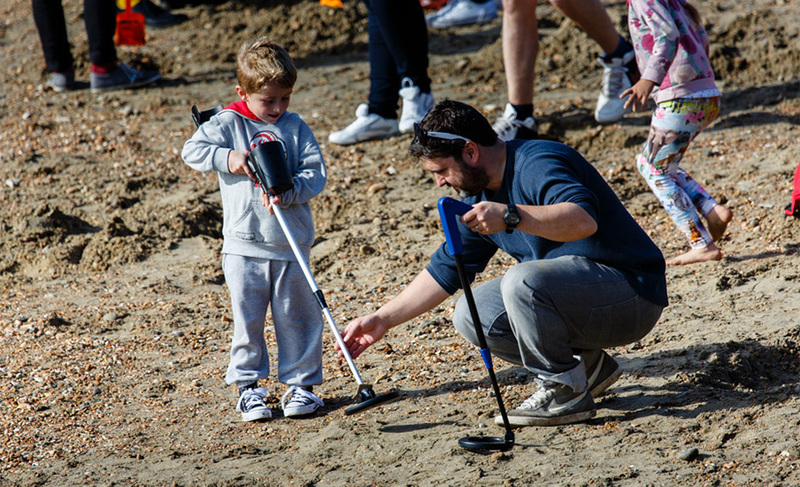 And since no-one knows how many of the gold pieces have already been found, the activity of people looking may become a permanent addition to the beach. 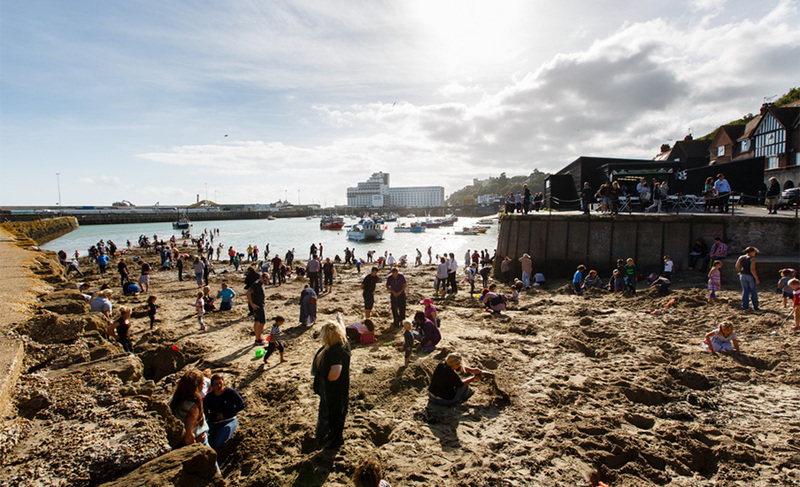 Sailstorfer is intent on expanding the notion of sculpture, and Folkestone Digs is a continuation of his aim ‘to make art that comes less from the head and more from the stomach’.